This Devil's Food Cake is dark, moist and heavily imbued with the scent and flavor of coffee. 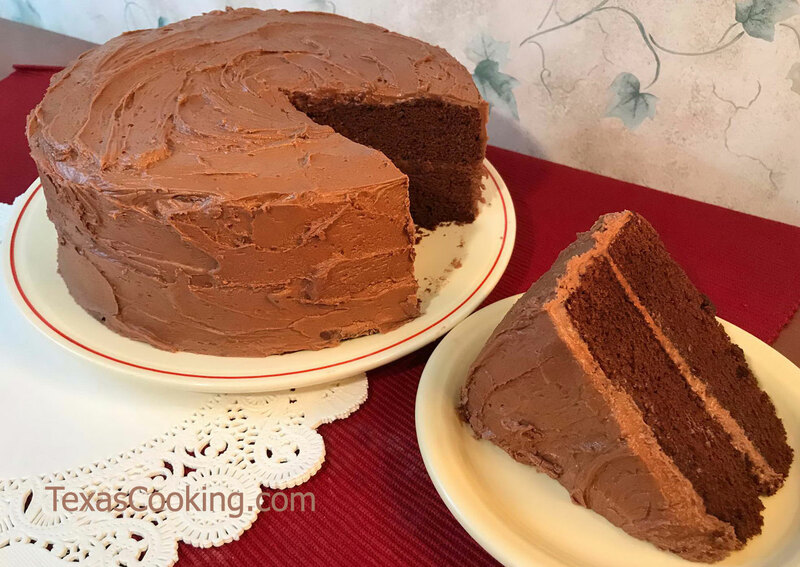 Though rich and flavorful, devil's food cake is never as sweet as traditional chocolate cakes, so the frosting is important. We highly recommend our Coffee-Chocolate Frosting as the perfect complement to this recipe. Please read the recipe carefully before beginning. Note that you will need at least two mixing bowls for creaming ingredients and a third for containing the sifted dry ingredients. If you enjoy creating beautiful, delicious baked goods, then this cake is perfect for you. Sift the flour, cocoa, baking soda and (if using) espresso powder together. Set aside. Beat egg whites until frothy, then beat in sugar until stiff peaks form. Set aside. Cream butter and brown sugar together, adding the egg yolks one at a time. Let the electric mixer run for about 5 minutes in this step. With the mixer running, begin adding the coffee, a little at a time, to the butter/sugar mixture. With mixer continuing to run, add the dry ingredients alternately with the remaining coffee and Kahlua, blending well. Turn mixer off and remove bowl from mixer stand. Using a large rubber or silicone spatula, gently fold the whipped egg whites into batter. Pour into prepared pans. Bake at 350°F 30 to 35 minutes or until a cake tester comes out clean. Cool in pans for 10 minutes. Then invert layers onto wire racks and remove pans. Allow to cool completely before frosting.